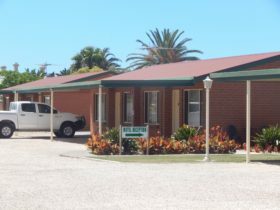 Centrally located in the main street of Coobowie, Coobowie Lodge Unit 3 is across the road from the beach and playground. 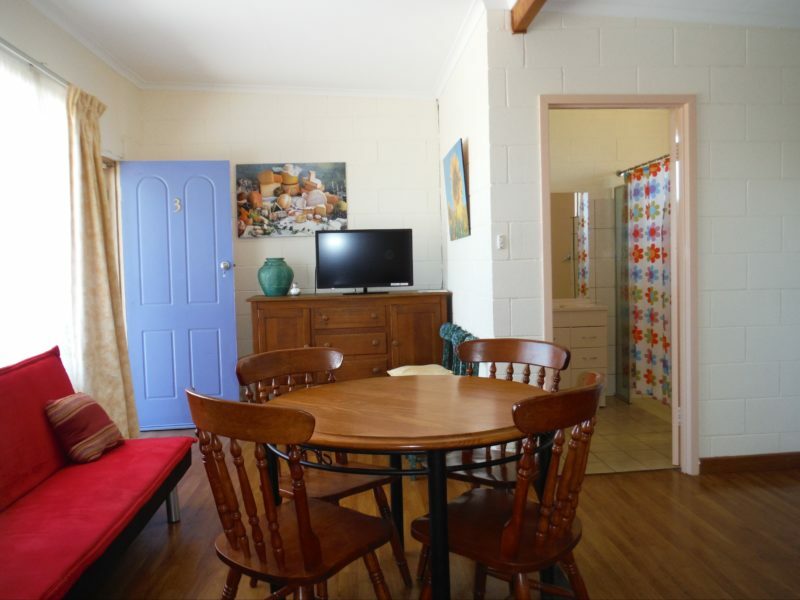 Coobowie Lodge is a perfect property for those on a budget, and it is well equipped with everything you would expect in a holiday rental. 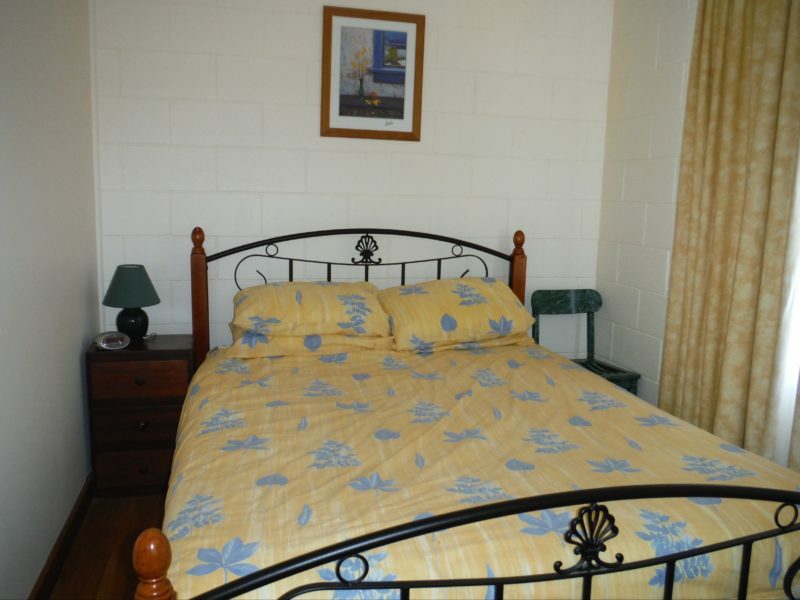 With two bedrooms (queen and two singles), Coobowie Lodge sleeps up to four guests. 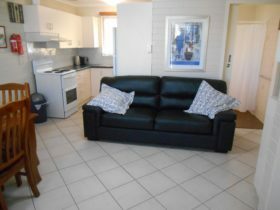 Coobowie Lodge is self contained with reverse cycle air conditioning in the lounge/dining room, television with DVD and USB ports, and a well equipped kitchen. 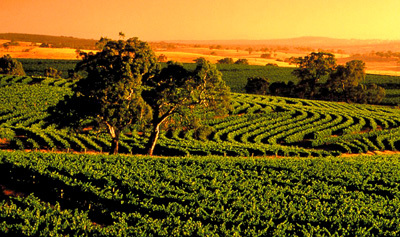 From Coobowie it is a five minute drive to Edithburgh or Wool Bay jetties, or Edithburgh boat ramp. 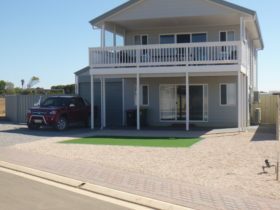 Coobowie Lodge provides fish cleaning facilities and good off street boat parking. 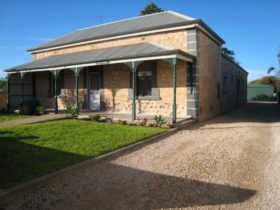 This property is located next to the general store, and is just a short three minute walk to the Coobowie Hotel, on the next block. Pets are not permitted at Coobowie Lodge. 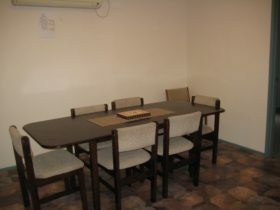 Unit 3 at Coobowie Lodge is located on a very quiet block, and Unit 2 can also be booked. Two night minimum stay applies. 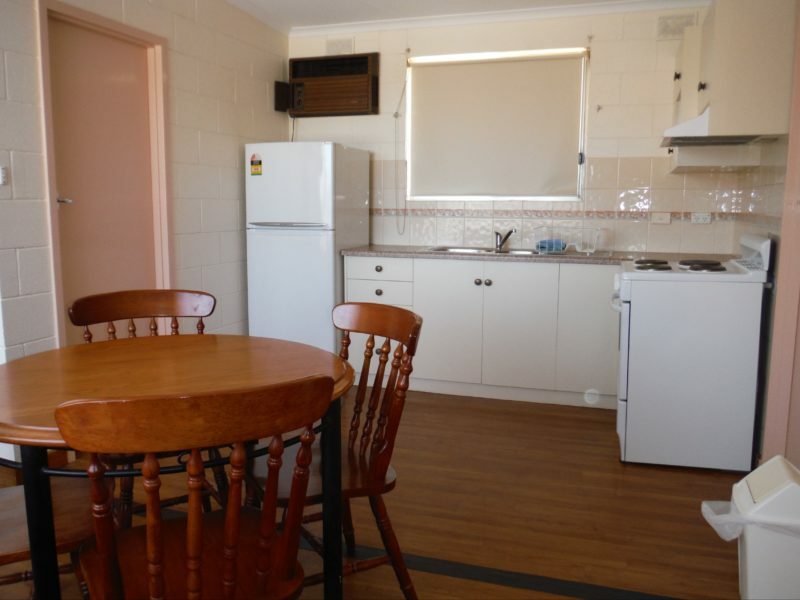 Booking (AUD22.00) and cleaning fee (AUD45.00) applies, payable direct to Country Getaways following an online booking being made. Two night minimum stay applies. 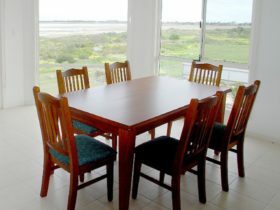 Booking ($22) and cleaning fee ($45) applies, payable direct to Country Getaways following an online booking being made.